This year’s TimeCrafters, the fourth edition, is proving to be an exciting one, and while I look forward to visiting the nearly twenty brands that will be on display, of particular note are the following. I will explain. A favorite stop on my annual Baselworld sojourn, the TAG Heuer exhibit is always a finely tuned blend of high energy, high sophistication and high design. I expect nothing less at the TimeCrafters event. And this year, to celebrate the 100th anniversary of the iconic Indy 500 race, TAG Heuer is launching a Special Edition of its revisited Carrera chronograph, the Heuer 01. 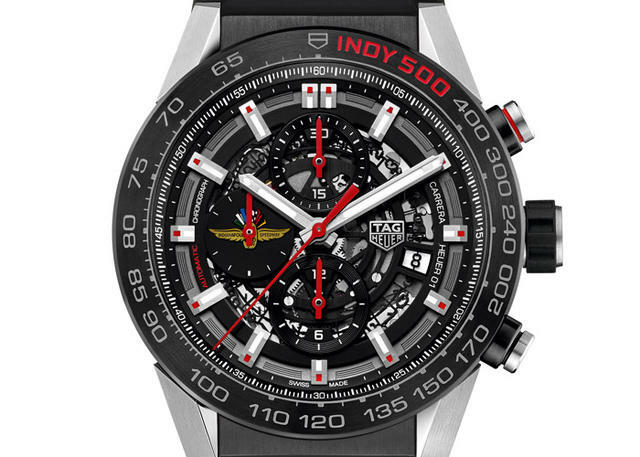 A limited edition of 100 pieces will showcase the “Indy 500 logo” on the dial as well as on the caseback and bezel. This timepiece will be unveiled at the Time Crafters exhibition in New York, which is taking place shortly before the race in Indianapolis. Tiffany & Co. was born in New York, and for this reason alone, I’m excited to see their display. There’s something magical about experiencing a brand on its own turf, as I’m so often reminded when I visit various watch manufacturers throughout the world. In 1853, Charles Lewis Tiffany installed a clock outside of Tiffany & Co. in New York City, long before public clocks were commonplace. And thus began Tiffany’s watchmaking legacy. 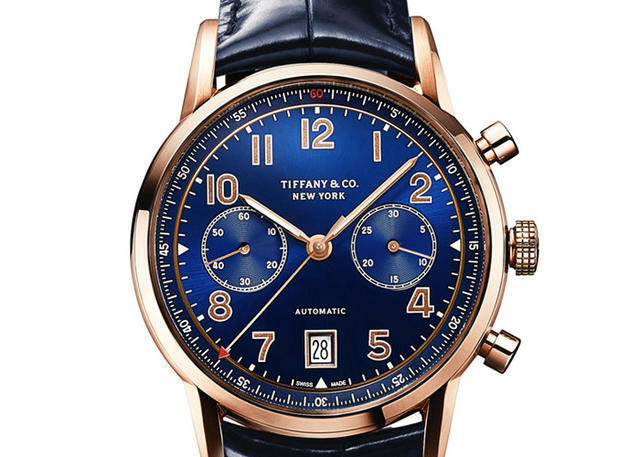 Among other timepieces, Tiffany is showcasing at the show its CT60 Chronograph men’s watch in 18-karat rose gold. Richard Mille’s timepieces seem to embody qualities of New York—forward thought, great architecture and a modern sophistication, making TimeCrafters a perfect fit for the brand. Produced by a team of talented engineers in an ultra-modern and ecologically advanced production workshop in Switzerland, Richard Mille watches are very 21st century, while embracing classical watchmaking principles. The RM 63-02 Automatic World Timer with the new in-house designed CRMA4 automatic caliber will be on display. Collectors in New York are today thinking about the big Timecrafters public watch show that starts Friday at the stately Park Avenue Armory. More than a few enthusiasts will also be there for a special opening event Thursday evening. When the doors open, you’ll see me heading for several stands first to eye, and possibly wear, a few special pieces that I’ve not previously been able to see wrapped around my wrist. One will be the Audemars Piguet Royal Oak Double Balance Wheel Openworked, which I saw only too briefly in Geneva earlier this year. 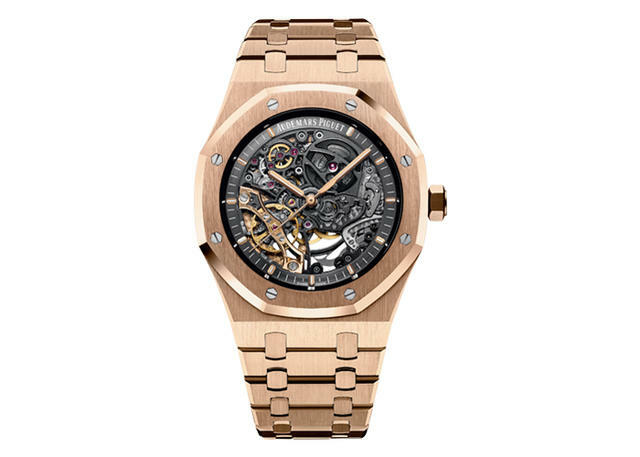 I have a weakness for skeletonized watches of all sorts, and this one is particularly spectacular in many respects. Not only does it feature an unusual technical method to reach greater precision, an age-old concern, but also it addresses this goal openly with a beautifully decorated Caliber 3132. Audemars Piguet has equipped the movement with two balance wheels, each with its own hairspring, mounted on one common staff. The two balance springs work in opposition to improve precision and stability. All this is visible within a classic Royal Oak 41mm gold or steel case, one of which will, if I can help it, find its way to my wrist later this week at Timecrafters. I’ve also always enjoyed the sight of white porcelain dials, which to my eyes offer a just slightly creamier hue when compared to enamel dials. There aren’t many made, in part due to their fragility. As a result very few watchmakers use them, which makes them doubly interesting in the rare pieces that feature this storied artisanal method. 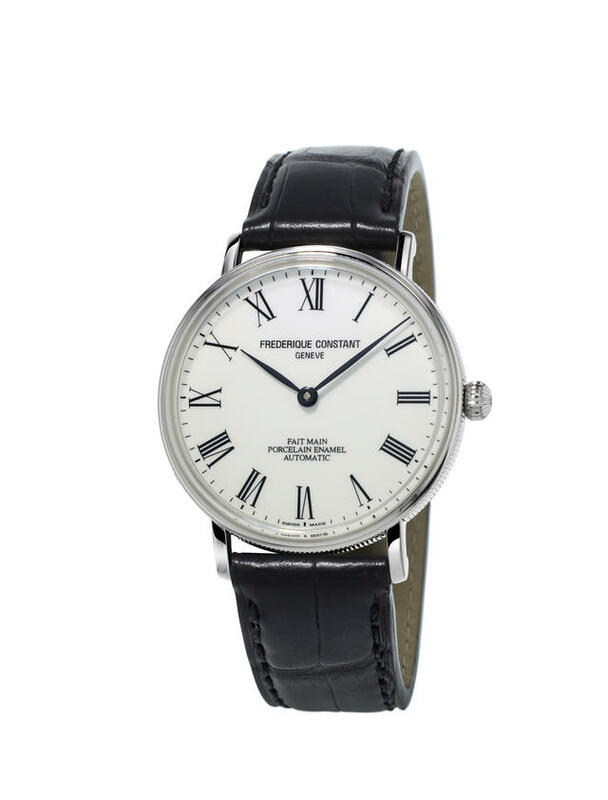 So when Frederique Constant recently debuted a limited edition series with just such a dial, I took notice. The Geneva brand’s Classics Art of Porcelain watch is a limited edition of 188 with a dial made by skilled craftsmen from the Zsolnay Porcelain Manufacture, a Hungarian firm that known for fixing its porcelain color to last many decades. The Zsolnay factory was established to produce ceramics in 1853 in Pécs, Hungary. The nicely priced ($2,195) 40mm polished steel watch will, I presume, be a treat to see on my wrist, perhaps as early as Thursday evening. Another timepiece that will attract enthusiasts of all stripes at Timecrafters is currently one of Vacheron Constantin’s most prized possessions. 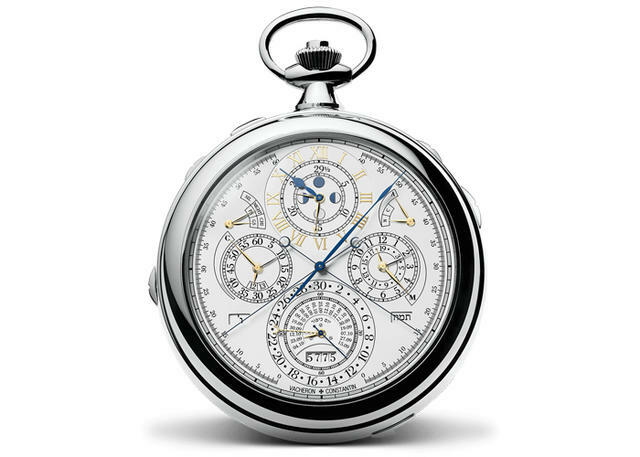 Having only once seen the Vacheron Constantin Reference 57260, considered the most complicated pocket watch ever made, I look forward to again eyeing it later this week, possibly for the last time. Reference 57260 is a wholly original creation with a total of fifty-seven complications, some of which are unique, including multiple calendars, three column wheels, eight chiming options and a double retrograde split-seconds chronograph. The pocket watch was made on request, and Vacheron Constantin is only displaying it on very limited occasions until its owner gains custody, so to speak. Three primary watchmakers at the manufacture spent eight years designing and assembling the large timepiece, which measures 96mm (nearly four inches) in diameter and approximately 50mm in width and houses more than 2,600 components. 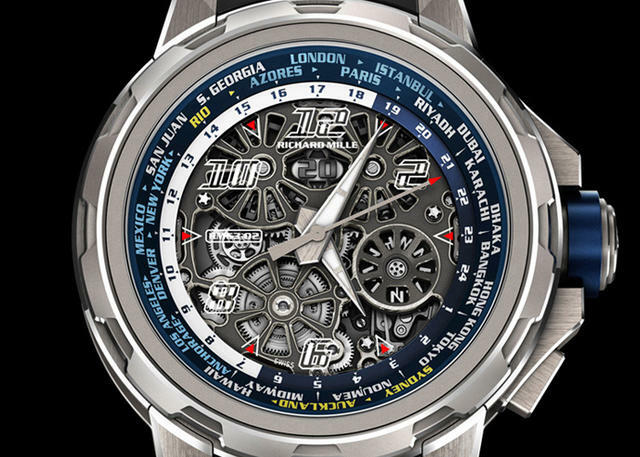 On its exterior one can see another 200 parts comprising the hands, dials and the 960-gram (just over two pounds) 18-karat white gold case. TimeCrafters 2016 will mark the fourth and largest edition of the North American luxury watch market’s premier timepiece exhibition. 2016 will see over 30 top watch brands open themselves and their catalogs to the public at New York City’s Park Avenue Armory from May 13 to May 15. The highlights of 2016 showcase the unique appeal of TimeCrafters; access to brand personnel, access to watches, and a unique fusion of Baselworld and SIHH novelties in a single exhibition. The annual Baselworld and SIHH trade shows are vast, impersonal, and generally the domain of dealers and media. In contrast, TimeCrafters is planned and presented for the enjoyment of the collector. While ownership of a luxury watch is not required, passion for the hobby is mandatory. Visitors gain immediate access to brand watchmakers, artisans, senior sales advisors and product specialists. Those who enjoy watching the process of movement service, hand-engraving, and miniature painting are treated to a uniquely intimate introduction via the craftspeople themselves. Brands with strong artisanal traditions use TimeCrafters as a platform to bring these often esoteric arts to the fore in the name of collector access. For other enthusiasts, the accessibility of senior luxury brand representatives facilitates unrivaled insights into the brands themselves, the collector scene, and the luxury watch landscape in general. Naturally, the show floor is awash in other enthusiasts with whom to make acquaintances. People are essential to any social occasion, but the products – the watches – define the TimeCrafters experience. With few exceptions, the trade shows in Basel and Geneva are look-but-don’t-touch affairs geared towards press attention and dealer orders. Despite its smaller scope, TimeCrafters offers visitors an order of magnitude more face time – and wrist time – with the latest releases and perennial classics alike. 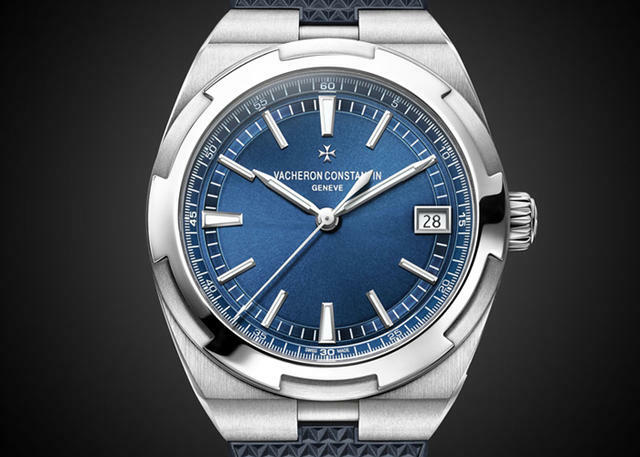 Do you want to know if a 2016 Vacheron Constantin Overseas Chronograph sits securely on your wrist? TimeCrafters has the watch and the solution. The chance to try a coveted model, a hyper-exotic concept watch, or simply to see a watch-of-interest without an internet filter cuts to the the heart of the TimeCrafters exhibitors’ mission and the visitor’s experience. Baselworld and SIHH are mutually exclusive experiences. The exhibitors of the first rarely have any presence at the former. But the luxury watch enthusiast can enjoy the best of both at TimeCrafters. From SIHH stalwarts like Jaeger-LeCoultre and Audemars Piguet to the Basel superpowers Omega and TAG Heuer, the TimeCrafters brand portfolio channels the best of Switzerland’s biggest watch events into a one-stop amusement park for the North American luxury watch devotee. 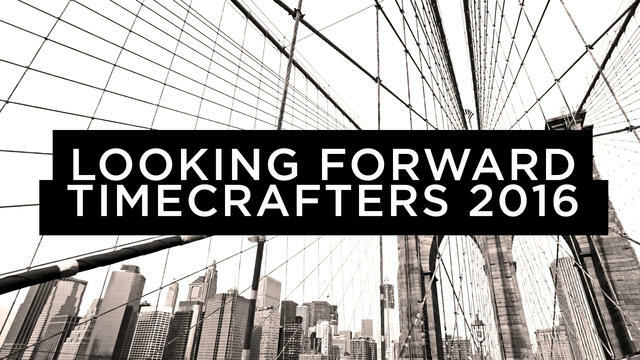 Naturally, iW Magazine and its editorial staff of luxury watch authorities will be on hand for TimeCrafters 2016. I will be giving tours as Editorial Director and sharing public outreach duties with my colleague Editor-In-Chief Mike Thompson. The free iWMagazine collector tours of TimeCrafters 2016 will be a daily feature of the event from its opening on Friday, May 13 to the final exhibition day of Sunday, May 15. Inquire at the iW Magazine exhibition area at the show for tour topics and times.